Upgrade your 986/996/987/997/981/991 with this Cup style brake caliper stud kit. A must have item for both club and pro racing. The factory bolts will quickly strip out the threads in the expensive wheel uprights, from removing the calipers for maintenance. These Cup style caliper studs will eliminate this problem and quickly pay for themselves. They also allow for quicker and easier caliper installation by guiding the calipers into position. Manufactured from aerospace quality 17-4 PH stainless steel for high strength and corrosion resistance. One kit includes 4 studs, nuts, and washers, complete for one axle. Two kits required for front and rear. Now Available!!! 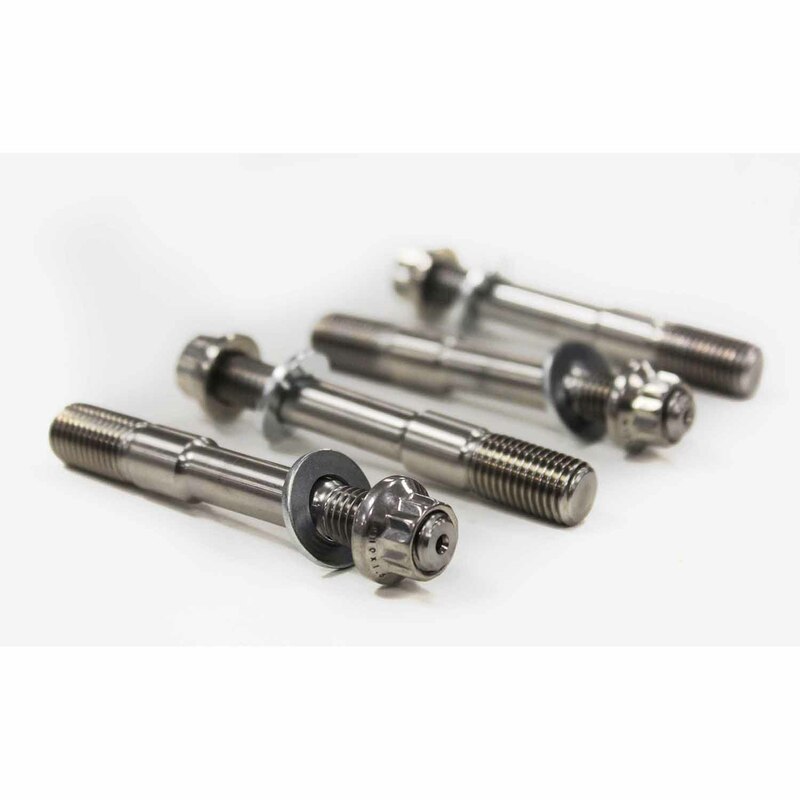 Our Brake caliper stud kits now include the highest quality available, ARP 12-point nuts. This is a no compromise solution. Made from high strength stainless steel, these nuts will not corrode, have a 180,000 PSI tensile strength, and are compact in size for a better fit in the break caliper bore. See application chart below for size recommendations. GiroDisc applications: See adaptor kits below. Use GiroDisc supplied bolt length for stud selection. 62mm & 95mm stud kits include PMNA Cup studs. They are made from high strength steel and are black in color (not shown).